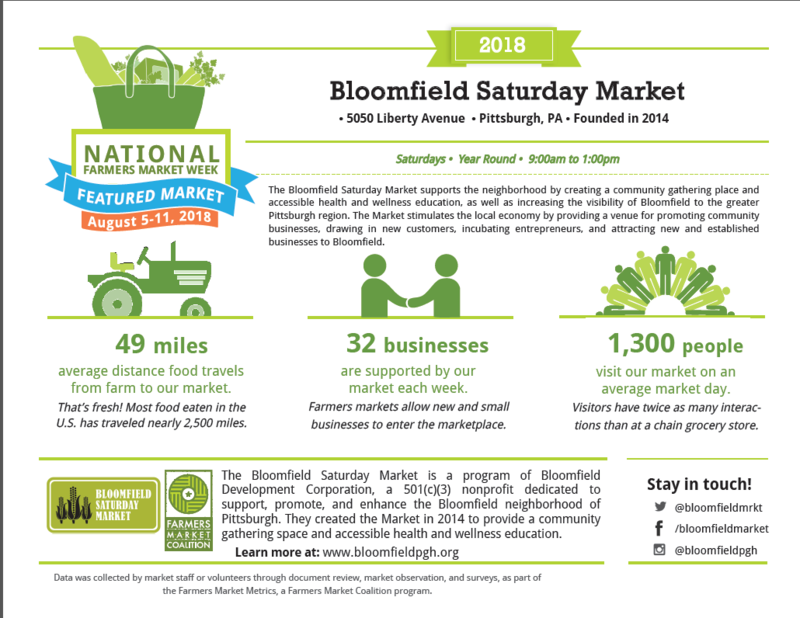 Mission Statement: The Bloomfield Saturday Market supports the neighborhood by creating a community gathering place and accessible health and wellness education, as well as increasing the visibility of Bloomfield to the greater Pittsburgh region. The Market stimulates the local economy by providing a venue for promoting community businesses, drawing in new customers, incubating entrepreneurs, and attracting new and established businesses to Bloomfield. 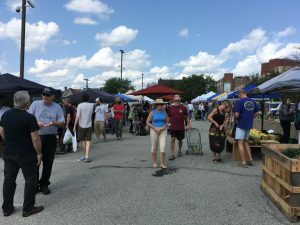 About the Market: The market opened in 2014 by the local non-profit development organization, and the Bloomfield Saturday Market hosts 45 vendors in peak season. With live music and special programming every week, there’s always something new to see. 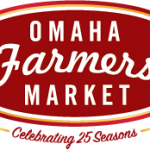 The bathrooms, seating, bike parking, free indoor garage parking, and walkable location ensure that the Market is accessible to everyone. Statistic or Market Accomplishment: Our market attendance raised 400 adults on average from 2016 to 2017.